Twice a month we’ll be taking a look at a new strategy or wargame with the help of Slitherine, purveyor of more wargames than you could hope to count. We’ll be interviewing developers, going hands-on, and rounding up the latest strategy news. If you’re after more in the genre, check out the best strategy games on PC. 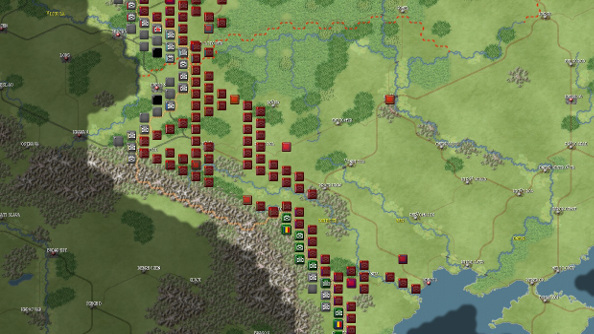 This week, we’re taking a look at Decisive Campaigns: Barbarossa, which is set to launch on Steam on April 28th, alongside some new features. Decisive Campaigns: Barbarossa is an operational wargame set on the Eastern Front during World War II, where Germany flings countless men and machines at its titanic enemy to fulfil Hitler’s dreams of conquering Russia. A wargame though it may be, like a tank that can transform into a massive robot, there’s more to Barbarossa than meets the eye. 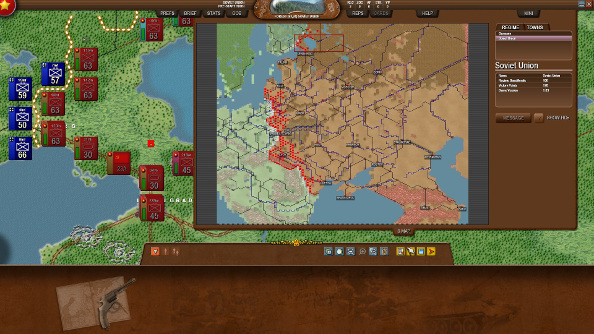 As either Russia or Germany, you’ll command multiple theatres, controlling the combined forces of your chosen nation from artillery to aerial units over the course of seven months, with each turn representing four days. If you’re Germany, your goal is the successful invasion of Russia, while the Soviet goal is, unsurprisingly, to stop that from happening. Even before you choose what nation to play as, there are big decisions to make. For instance, you can choose to play in a more historical campaign, where the game should play out realistically, with the factions acting like their historical counterparts. Turning this off, however, means that you’ll witness more surprises and unexpected turns. Once you’ve set up the campaign, it’s off to the front with you. While you’ll be faced with managing either Russia or Germany’s land, sea and air forces, you’ll also need to maintain the all important supply lines that keep your armies drowning in fuel by creating a chain from the main depot to the forward supply base – which can be moved – and then to your HQ. The fuel transportation is automated, but you’ll still need to set up that chain and then fiddle with it as you push further east or west. Juggling multiple theatres, resources, staff and units is a big job, but there’s another layer of operational command complexity in Barbarossa: the human factor. If you’re fighting as Germany, for example, you might want to use a card – many actions can be taken by playing cards, like reassigning groups or changing a group’s focus – to assign staff and resources to a panzer group, but it’s not as simple as making a decision and then enacting it, because humans are stubborn. You might be a big wig, but you still need to work with both subordinates and superiors. In this case, the commanders you’re dealing with are more comfortable with infantry than modern methods of warfare, so you’ll need to be on good terms with them if you want to move forward with your plans. And here’s the wrinkle: you’re never going to be on good terms with everyone. Take resources from one group and give them to another, and you’ll make a new friend but also a new enemy. Decline a request from a superior, and you might suffer for your insubordination later. And God forbid you deny an order from Stalin or Hitler, no matter how ridiculous, because they aren’t used to being ignored. The Steam version takes this human element one step further by introducing the war diary, which offers a ground-level perspective of the war. In addition to this, expect graphics improvements and a long list of fixes and tweaks which you can devour at your leisure. If you’re on the lookout for an operational wargame that throws a human-shaped spanner into the works, where paranoia, squabbles and deals can have just as big an impact as battles, then Decisive Campaigns: Barbarossa will make for a compelling sojourn in the Eastern Front. There’s still time to grab a Slitherine game for 30% off in the publisher’s Easter Sale. Battlefleet Gothic Armada’s release date has been announced. The forces of the Imperium, Orks, Chaos and Eldar will duke it out in epic space battles from April 21st. Also in April, the next installment in Slitherine and Matrix Games’ Order of Battle series, U.S. Marines, will be launching. We’re big fans of its predecessor, Order of Battle: Pacific. Is everything coming out next month? Maybe! The eight millionth expansion for Europa Universalis IV, Mare Nostrum, can be yours from April 5th. Our ‘The World in Wargaming’ series is created in association with Slitherine. 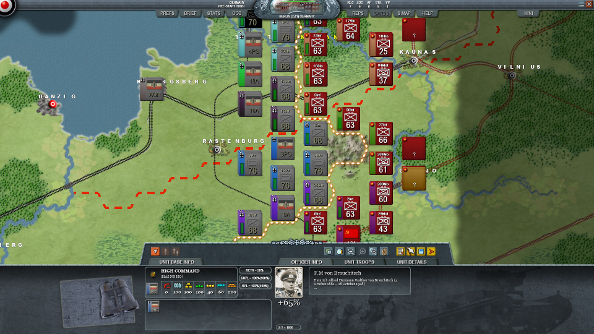 Decisive Campaigns: Barbarossa launches on Steam on April 28th.